Posted in: 1 Pageant Pages, 2 Shout-out-Looks. Tagged: #SMGreenBag, Hannah Caayon, Janelle Tee, Shaimaa Al Najjar. 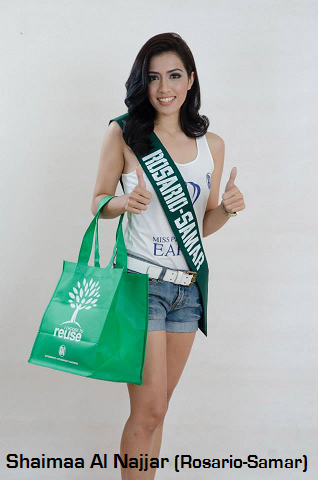 Part of the endorsements of the Miss Philippines Earth 2014 Official Candidates is the promotion of #SMGreenBag and spreading awareness of using the same all the time in order to put an end to its plastic counterpart. Three (3) of the six Earth Warriors from Aces & Queens grace our post this day. 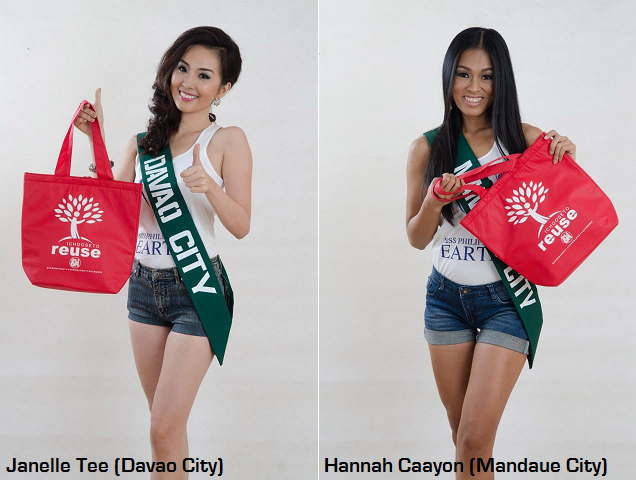 Janelle Tee from Davao City, Hannah Caayon from Mandaue City and Shaimaa Al Najjar from Rosario-Samar. This beautiful trio continues to engage themselves in all the pre-pageant activities of the environment-focused beauty competition. P.S. I wanted to share all their eco-videos. However, only Janelle has her share uploaded on YouTube.